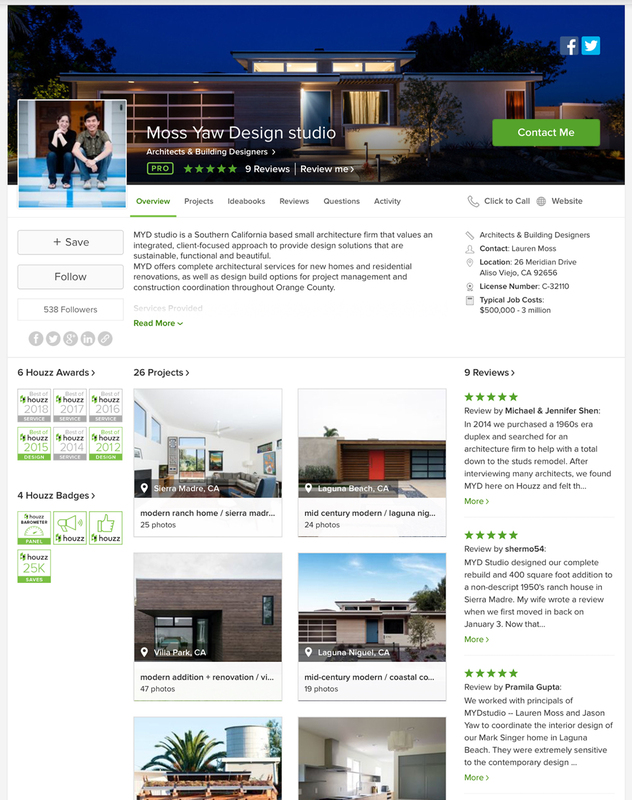 Many, many thanks and much appreciation to Houzz for recognizing MYD studio for Best of Houzz 2018! This is our firm's sixth year to be awarded by the website and its community of over 40 million users. We use it often as a resource for design imagery, project ideas, and a means to connect with clients and colleagues. Find MYD's profile here, including project imagery and ideabooks.